Karnataka hosts leading scientific institutions. Bangalore is the city of science; it has been hosting for more than hundred years the Indian Institute of Science, the first Indian Institute of Multidisciplinary Research for the number of researchers, the diversity and quality of their work and the recruitment of elite students. It also houses a large number of institutions of the highest level, the Indian Institute of Management Bangalore, listed No. 1 or No. 2, depending on year of evaluation, as the best business school in India, the renowned National Law School of India University (No. 1 in India, renowned nationally and internationally), the Jawaharlal Nehru Centre for Advanced Scientific Research, the National Institute of Advanced Studies, Bangalore University, and numerous specialized schools, such as the International Institute of Information Technology Bangalore. Research institutes such as the National Center for Biological Sciences and the Raman Research Institute are placed at a top international level in their respective fields. One founds also the headquarters and various departments of the Indian space agency ISRO. Note also the large number (about 150) of engineering colleges in Karnataka, the best being the Sir M Visvesvaraya Institute of Technology and the National Institute of Technology Karnataka (NITK) Mangalore (on the west coast). Medical Colleges (over 250 institutions) are under the authority of the Rajiv Gandhi University of Health Sciences and the main public universities are Bangalore University, Mangalore University, Mysore University, Kuvempu University, Gulbarga and Karnataka University. There are also private universities as Christ University, Bangalore. Finally the small town of Manipal is home to the largest private university in India, Manipal University. Founded in 1909 by Jamsetji Tata, the Indian Institute of Science (IISc) is considered the first research center in India. The IISc is primarily an elite research center that welcomes students in 2nd and 3rd cycle (master and doctorate level), and has just started BSc level training. The IISc has 5 research divisions: biological sciences, chemical sciences, physical sciences & mathematics, earth & environmental sciences, and engineering sciences. A large number of high-level researchers all over India have been associated with the IISc in their career: CV Raman (Former Director, Nobel laureate), Satish Dhawan (one of the fathers of the Indian space program and former director of IISc) CNR Rao (former director and head of the Scientific Council of the Prime Minister of India), Goverdhan Mehta (chemist and former director), etc. IISc works closely with several teams in France (see below), particularly in applied mathematics (UMI and LIA with CNRS), neuroscience (LIA with Inserm), solid state chemistry (LIA), organic chemistry (GDRI), water and environment (LIA), nanomaterials, thermoelectric, civil and mechanical engineering, ecology, molecular biology and biophysics , ICT, etc. Founded in 1989, the Jawaharlal Nehru Centre for Advanced Scientific Research (JNCASR) is a multidisciplinary research center in basic sciences and engineering. JNCASR was designed as a basic research institute of the highest level. It is very well known for research in chemistry and physics of materials, mechanical engineering, evolutionary biology, genetics, molecular biology, infectious diseases, nanotechnologies, condensed matter and geodynamics. Several prominent researchers have been associated with the JNCASR: Prof. CNR Rao (founding president of the Center, and Director of the Materials Science Center at JNCASR) Roddam Narasimha (aerospace and atmospheric sciences) and Shobhana Narasimhan (theoretical sciences). The JNCASR has several collaborations with France including collaboration with ENS Lyon (Laboratoire Joliot Curie in transcription and epigenetic diseases) and a collaboration with the University Paris Diderot (Laboratory of Materials and Phenomena CNRS) for nanostructures. The National Centre for Biological Sciences (NCBS) in Bangalore, an interdisciplinary research institute of TIFR, is considered as the best Indian Institute in life Sciences with an international reputation. The NCBS plays a major role in the establishment and management, since 2009, of the Bangalore Biocluster with significant funding from the Indian Department of Biotechnology. Centered on the theme of innovation in life sciences, this pole is designed as a multi-disciplinary campus to encourage collaborations between researchers, entrepreneurs, teachers, researchers and managers; it is the most advanced center in India in this field. This biocluster welcomes Indian Prime institute dedicated to research on stem cells (InStem, Institute for Stem Cell Biology and Regenerative Medicine) and the Centre for Cellular and Molecular Platforms (C-CAMP). C-CAMP is the link between research and industry and also acts as technological incubator. Its main function is to assist researchers in identifying high-potential projects for industry. The Bangalore Biocluster regularly hosts foreign scientists, mostly European and American, who wish to spend a few months or a few years in it. Recently, a new center has been established in inStem in collaboration with the University of Edinburgh: the new Centre for Brain Development and Repair will study diseases that result from brain development changes. The NCBS has several ongoing collaborations with France, especially with the ESPCI ParisTech, the Institut Curie, the University of Nantes, Paris Descartes University / Inserm, the Institute of Biology of the development in Marseilles Luminy, etc. The NCBS, the Institut Curie and CNRS a General collaborative agreement in 2012. Multidisciplinary institutes IISc (eg Department of Biochemistry) and JNCASR (genomics, molecular biology), described above, are also recognized in this field and many researchers are collaborating with those of Bangalore Biocluster. The St Johns Research Institute (SJRI) is a research center within the St. John's Academy of Medical Sciences, a hospital center in Bangalore. The SJRI conducts research in several medical fields: epidemiology, biostatistics and demographic studies (population health aspects), infectious diseases, oncology, molecular medicine, nutrition, neurosciences, mental well-being and clinical informatics. A collaboration between nutrition and diabetes SJRI and Inserm is underway. The Institute of Bioinformatics and Applied Biotechnology (IBAB) is a center of excellence in biotechnology and bioinformatics. IBAB was established by a partnership between the Karnataka government and the private sector. Bangalore is a city known for oncology research, two renowned hospitals are the Kidwai Institute of Oncology and HCG Oncology. Other hospitals of the highest quality in Bangalore are the Columbia Asia hospital groups, Manipal Group and Apollo Group. The Narayana Hrudayalaya Health City, the largest hospital in cardiac surgery in India is located in Bangalore. It has been founded by Dr Devi Shetty based on a new health innovation model, the NH Health City also has a hospital and research center for oncology, and two hospitals dedicated to ophthalmology and orthopedics. 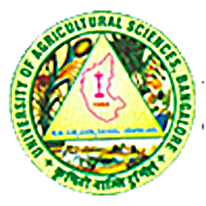 The University of Agricultural Sciences, (UAS), is one of the best centers for study in agriculture and agricultural research in the country. Created in 1963, the university is spread over several sites, four agricultural institutes in Bangalore, Shimoga and Mandya, an institute of forestry (College of Forestry) Ponnampet in Coorg, an institute of sericulture in Chintamani. The Ashoka Trust for Research in Ecology and the Environment (ATREE) is a research institute ecology, biodiversity, sustainable development and conservation. Four major themes are addressed in ATREE: forests & governance; water, earth & "livelihoods" ecosystem services & human well-being, ecosystems & global change. The NCBS and IISc (described above) are also doing research in the field of ecology and evolution. The IISc is working with the National Museum of Natural History in Paris on topics related to ecology, evolution and conservation and also hosts the International Joint Laboratory (IRD-IISc) in Water and Environment. The Tata Institute for Fundamental Research (TIFR) on a mathematical center in Bangalore . 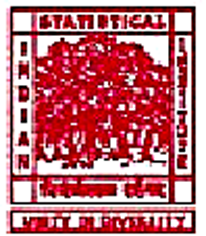 The Centre for Applicable Mathematics (TIFR-CAM) specializes on theoretical and numerical aspects of differential equations, including: nonlinear functional analysis applications in the study of differential equations, control aspects of partial differential equations, hyperbolic equations and conservation laws, etc. Collaborations between TIFR -CAM and Toulouse Mathematics Institute, University Paul Sabatier are ongoing. Bangalore also has the largest super-computers of numbers in the country. The International Institute of Information Technology (IIITB) in Bangalore provides training in IT/ICT and communication engineering. Promoted by the IT industry in Bangalore (the "Silicon Valley of India") , the Institute hosts about 300 students (Master level). Research at IIITB is focused towards ICT, and the Institute works closely with big entreprises and with the IT industry to develop new technologies. 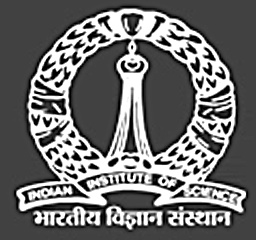 The Indian Statistical Institute de Bangalore (ISI) conducts research in mathematics and statistics (the main research areas are mathematics, statistics, computer science, quantitative economics, operations research, and information science) and offers BSc and MSc in these areas. The IISc is very involved in the field of mathematics and computer science with its mathematics department and Supercomputer Education and Research Centre Center (SERC). In addition, the first International Joint Unit of CNRS in India is based at the IISc in applied mathematics. Raman Research Institute (RRI) was founded in 1949 by CV Raman, the Nobel laureate. It is a basic research institute specialized in astronomy and astrophysics, condensed matter physics, theoretical physics, physics of light/matter. Two Franco-Indian projects are underway in RRI, with the Institut d'Astrophysique de Paris and the Theoretical Physics Laboratory and Models of the University Paris Sud. The International Centre for Theoretical Physics (ICTP) is a research center created by the Tata Institute of Fundamental Research (TIFR) to promote research in frontier areas of science. Currently, ICTP is engaged in the fields of statistical physics, multidisciplinary biology, gravity waves & numerical relativity, complex systems, string theory, particle physics and cosmology, etc. A doctoral program has satrted in 2013. 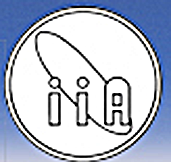 The Indian Institute of Astrophysics (IIAP), is a research center dedicated to astrophysics, astronomy and physics in India. Funded by the Department of Science and Technology (DST), Government of India, IIAP has four observation centers in Kodaikanal (Tamil Nadu), Hanle (Ladakh), Gauribidanur (Karnataka) and Alangayam (Tamil Nadu). IIAP also has a center for research and education in science and technology 35 km from Bangalore. The main research areas are the solar system and the sun, physics and stellar astronomy, extragalactic astronomy and cosmology, theoretical astrophysics, instrumentation, etc. IISc qnd JNCASR (decribed above) have centers well recognized in chemistry and nanociences. The National Secretariat for space based in Bangalore (only one other organization of this level is not in Delhi, the Department of Atomic Energy in Mumbay). It controls Research and Production Space agency, ISRO, also based in Bangalore. The Indian Space Research Organisation (ISRO), founded in 1969, and the Department of Space (DOS), established in 1972, report directly to the Indian Prime Minister and are chaired by the same person, Dr. K. Radhakrishnan. He also chairs the "space commission" in which are represented the different ministries, and sets the DOS of the budget. ISRO, a public organization that employs nearly 18,000 people, is de facto in charge of development of all components of the program (launch vehicles, satellites, missions, applications, exploration, research). It has branches and centers (operational, research or training) in eighteen cities on the entire national territory. ISRO has several sites in Bangalore including the Space Commission and the headquarters of ISRO, Antrix (the commercial arm of ISRO), the ISRO Satellite Centre (ISAC, where the Indo-French satellite Megha-tropics was developed) and the Indian Deep Space Network. Indo-French cooperation in space is the oldest and most important collaborations led by India with a European country. In aeronautics, Bangalore is also the leader in India, both because of the former deployment of military garrisons and through the scientific ecosystem. The state company, Hindustan Aeronautics Limited (HAL), which holds a near monopoly in production and aircraft maintenance, mainly military, is based in Bangalore. The National Aerospace Laboratories (NAL) is a research center under the Council of Scientific and Industrial Research (CSIR) and is the only public laboratory for research and development in the civil aerospace sector in India. Founded in 1959, NAL has played a key role in the Indian aerospace program and has developed several aircraft for the Indian aviation sector. Designed as an interdisciplinary research institute, the National Institute of Advanced Studies (NIAS) is a research center and a think tank based in Bangalore. Founded in 1987 by JRD Tata, NIAS conducts advanced research on topics of national importance: the four schools (social sciences, humanities, natural sciences & engineering, strategic & security studies) work on issues such as the resolution of conflicts; water and society; Sociology and Social Anthropology; urbanization, globalization and migration; education, philosophy and cognition; interdisciplinary approaches to the economy; agriculture and biosecurity; national security, geopolitical and strategic studies; energy and environment, etc. NIAS researchers are often former officials of the Indian government: the current Director of NIAS is the former director of the Department of Science and Technology of the Indian Ministry of Science and Technology. The NIAS is also a key partner in the French Indian network of actors for water. The most prestigious law school in India, the National Law School of India University (NLS) is also located in Bangalore. NLS provides training in law and also has research centers on socio-economic issues related to the law: women and law; the right of the child; intellectual property; environmental law; human rights; ethics and medicine; conflict resolution; cyber law and criminal studies and forensic sciences. The Indian Institute of Management de Bangalore (IIM-B) is a business school ranked between position 1 and No. 2 in India. 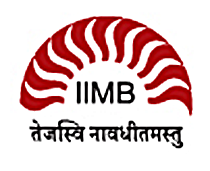 Established in 1973 by the Indian government, IIMB offers courses in master, PhD and MBA. Founded in 1978, Biocon is India's largest biotechnology company (€ 183 million in revenue in 2010). First producer of industrial enzymes, it is specialized in diabetes and cancer. It produces a synthetic oral insulin in clinical trials. Its subsidiaries, Syngene and Clinigene, created in 1994 and 2000, are multidisciplinary centers of drug development in which researchers, doctors and chemists work together. Two large technology holdings for delivery and consulting are based in Bangalore, Infosys and Wipro. Infosys was founded in 1981 by NR Narayana Murthy and six others with only $ 250. In 2013, Infosys has been the fourth Indian company (based in India) of IT and consulting services (mainly Infosys designs and delivers technology solutions). From a business of 5,000 employees in 2000, now Infosys has over 150,000 employees in 32 countries with a turnover of $ 200 million and revenues of $ 50 million. Bangalore is home town for Infosys Mysore and hosts the Leadership Institute, a major training center for Infosys employees. Founded in 1945, Wipro is now run by Azim Premji. The group Wipro has about 145,000 employees and offers solutions in IT services, technology and consulting, lighting, consumer goods, health and infrastructure, etc. Related to this group are the Azim Premji Foundation and the Azim Premji University working in education and development. Microsoft Research India, Microsoft's research center is located in Bangalore. The center conducts research in cryptography and complexity, modeling and algorithms, multilingual systems, technologies for emerging markets, etc. The John F. Welch Technology Centre in Bangalore is the first R & D center for GE outside the United States. The teams of the center are working on several areas such as water, energy, health, lighting, gas and oil, aviation, etc.